the funny thing it worked and gave me that i’m in // path!! i don’t know if its normal thing, after all, good to know! UPDATE, Tilaa now have Native Gentoo Support starting from August, so no need to follow this method as updated in the comments. NOTE: This steps works for me, There is no guarantee that this steps will work with you, you may Lose all of your VPS Data, use this steps on your responsibility..
* after downloading them to your VPS, follow the following steps..
[root@m1 ~]# Connection to 46.19.32.39 closed by remote host. !! Could not find the root block device in LABEL=/notexist. Please run ‘e2fsck -f /dev/vda1’ first. Resizing the filesystem on /dev/vda1 to 786432 (4k) blocks. The filesystem on /dev/vda1 is now 786432 blocks long. **** Note what i colored by red: 786432 (4k) blocks — you will use this to do the correct fdisk or you will lose your system!, the output in your case should be different from mine, so copy the number of blocks that you got because you will use them in calculating the new size later, if you didn’t do that, then i suspect that you will lost the system..
* After that continue creating the new partition..
* Uncomment s0:12345:respawn:/sbin/agetty 9600 ttyS0 vt100 in /etc/inittab to get Console access. * Add a root password..
* Open the Console & Reboot..
* Continue Installation for gentoo just as the manual & Have Fun! The following is the commands to create a virtual bridge and virtual interfaces so you can use it with kvm/qemu tap networking, Actually i think you can do all of this using a GUI interface via Virtual Machine Manager (virt-manager), but i don’t know why i feel its difficult to use it, anyway. thats all, btw, 192.168.0.1 was my eth0 IP Address, you have to give it to your virtual bridge. or you can delete ‘-vnc:0’ so you don’t use vnc at all.. Pressing CTRL + \ while using ping will show ping status. Usually, When i wanna connect to online servers for checking them or whatever, I ssh to my work PC then to them, unfortunately our main gateway is down today. now just run pptpconfig as root and configure your VPN connection..
Facebook announced Tornado as new open source web server framework, it can be used to serve thousands of simultaneous connections, its high performance is really interesting, i think ill test it in the coming days. Tornado is a non-blocking Web server framework written in Python, designed to handle thousands of simultaneous connections, making it ideal for real-time Web services. All the basic site building blocks – Tornado comes with built-in support for a lot of the most difficult and tedious aspects of web development, including templates, signed cookies, user authentication, localization, aggressive static file caching, cross-site request forgery protection, and third party authentication like Facebook Connect. You only need to use the features you want, and it is easy to mix and match Tornado with other frameworks. Real-time services – Tornado supports large numbers of concurrent connections. It is easy to write real-time services via long polling or HTTP streaming with Tornado. Every active user of FriendFeed maintains an open connection to FriendFeed’s servers. whoops finally i feel am free,, for more than 2 months, am recalculating everything in my mind, and how the work was so much heavy those two months,, maybe a lot of you noticed i deleted a lot of posts, anyway, finally i just feel like i never tired before. 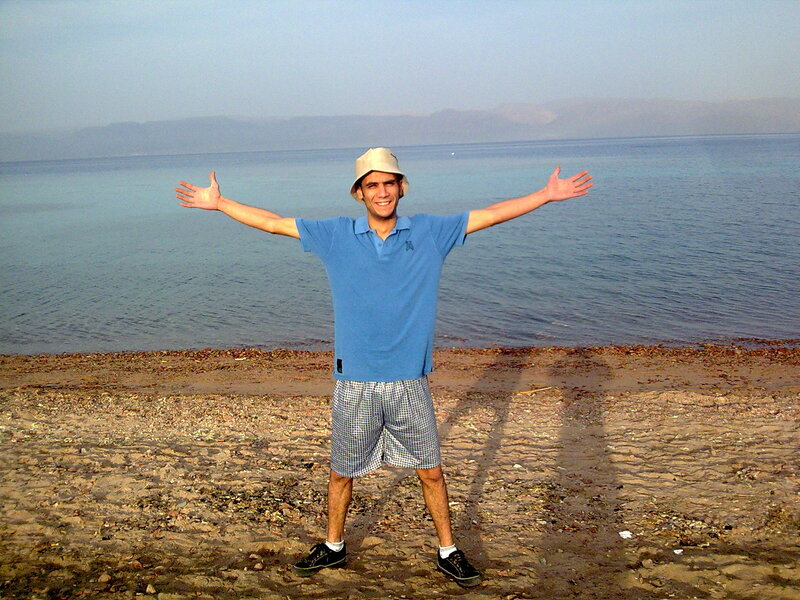 I just started to play with nextgen-gallery, the plugin for wordpress which i installed before a year ago, it really seems nice, i have uploaded my Wadi-Ram and Aqaba trip that i did before 2 months ago, the thing that i really like is [View with PicLens],, its really nice feature, to view the gallery just click on the above picture. i have 3 days holiday next week, what will be next in this gallery 😀 . Two days ago i did a nice interview, it was interactive exam, someone ask you through the phone to troubleshoot/do many things and in the same time he see what you do and what is the output of your commands, in my company, when i was interviewing people, all what i do is oral questions.. its oral conversation, but after making that interview i decided to prepare a examination machine to use it for future interviews i do in the company i work in. and now you will see everything done in the first session, yup so nice. change /root/scripts/sendSMS.sh to your script/application path, then save and quit. thats all, check the running process.